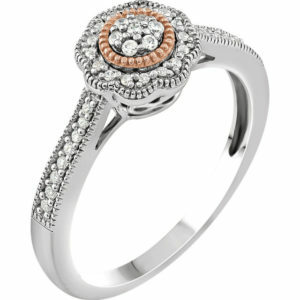 Diamond Rings are considered the most appreciable ornaments, especially for the woman you design for. These were introduced thousands of years ago but recently with the advent of lab-grown diamonds they have gained a special recognition. Are you fond of diamonds? There will be hardly anyone, who will say “no” to it. Along with the women, diamonds are near to the heart of every man and with the arrival of pocket-friendly lab-grown diamonds, the passion for it has risen a lot. 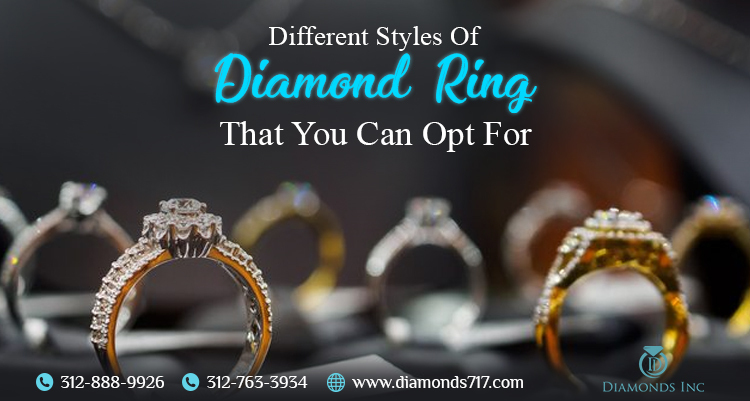 These are the certified diamonds in Chicago that offer exactly the same properties of natural diamonds. 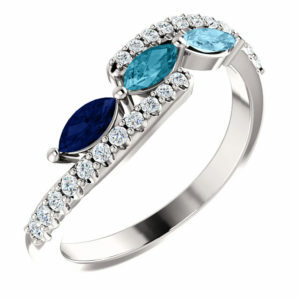 Just like natural diamonds, you can create or customize several styles of diamond ring with these cultured gemstones. Here we have listed down the several styles and designs associated with a diamond ring that you may opt for. 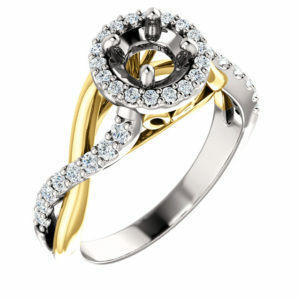 A cluster diamond ring is a luxurious choice if you are ready to spend a handsome amount for your jewelry piece. As the name suggests, a cluster of diamonds form the signature style of the ring. 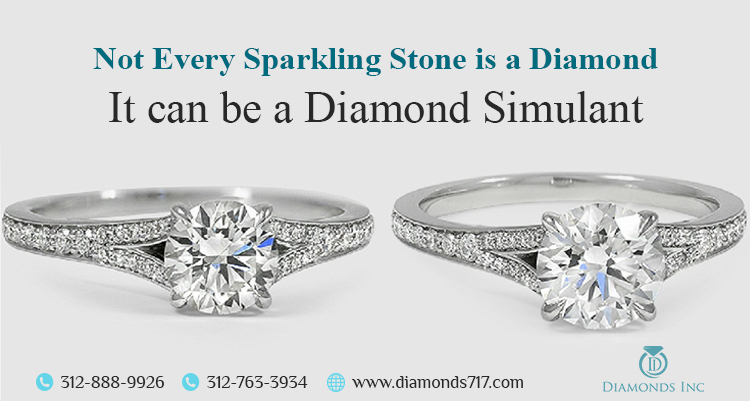 This is where the difference lies between a solitaire ring and a cluster diamond ring. A solitaire ring is featured with a single stone while the cluster ring is the home for several smaller stones in a clustered pattern. The ring can even be created by placing a large gemstone at the center surrounded with smaller stones around the stone, in a clot. This resembles a large solitaire stone look. Vintage rings are of two categories. One of art-deco period and one from the Edwardian period. If someone wants to travel the vintage-inspired selections, the art-deco look is always a popular choice. These rings are featured with proper geometric shapes teamed with angular facet gems, thus making the overall ring more complex. On the other hand, the Edwardian style offer a softer edge instead of the angular one. 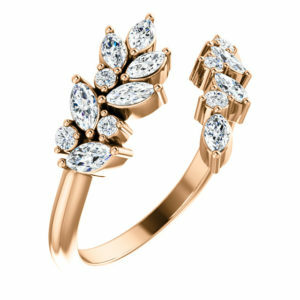 The ring is designed with a oval-shaped settings with floral clusters and delicate beading. Such a design was initially introduced in between 1901 and 1910. Geometric shaped rings are often quite interesting where you can create your diamond ring using the geometry lessons you have learned once you were in high school. The shapes can be either circle, elliptical, triangle, rectangular and many more. Are you bored with the simple generic band rings? Then Criss-Cross rings will leave no space to impress you. 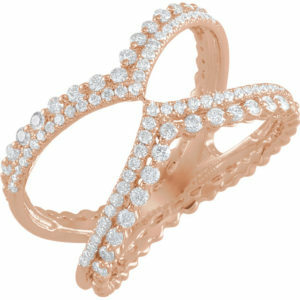 These rings rich with allure and grace are twisted, moulded, and designed delicately to ensure perfection to you. Stackable rings are some new additions to the stack of diamond rings. These rings are normally worn in three or more combinations. 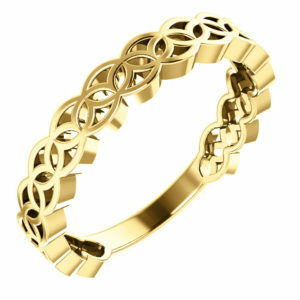 You can blend this with any style, metal, precious gemstones or other custom designed pieces. Such a ring can be worn for lifetime and the best part of it is, this ring does not need any particular occasion to gift someone. Negative space rings are quite interesting. It is all about geometrical lines and statements. Such a statement ring studded with the certified diamonds of Chicago is classic and offer a trendy design that you can pair it with any of your outfits. 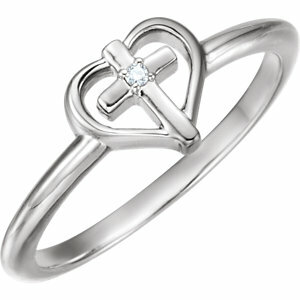 For example the pyramid ring where the ring perfectly balances the exaggerated size with the negative space in between. The halo engagement ring is quite difficult to generate. 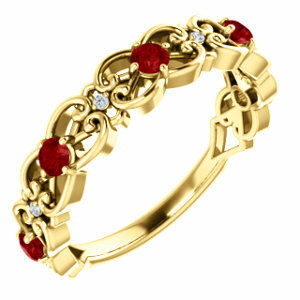 This is because of the sheer number of gemstones that are used to customize this item. 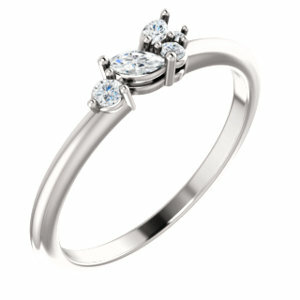 The central stone is teamed with a halo of smaller stones, and so the name halo style rings. Recently, Baguette rings are highly in demand. These rings are specially formed using baguette cuts or step cut diamonds that are long rectangular in shape. If you are looking for exceptional clarity, then these rings will act flawless for you. You can either wear them as a solitaire ring or stack them with two other stones, thus forming a three-stone style diamond ring. Bypass ring were first highlighted in the Victorian era where they were characterized by bands that overlap and gets apart, instead of forming one continuous line. Such a ring can be incorporated with any distinct diamond shapes or gemstones. You can even customize these bands with pave diamonds or channel settings. Many more diamond rings can be formed if you do permutation and combination with the diamond shapes and diamond settings. For example, paved diamond ring can be formed using very small delicate stones, bezel setting rings that is formed with bezel set and so on. Certified diamonds in Chicago are not just famous for diamond engagement rings but are known for the different diamond accessories. But the best part of these rings is they can be accessed at a reasonable price rate. Are you planning to buy a diamond ring? 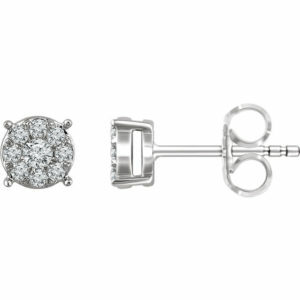 Look for these diamonds at Diamonds Inc, Chicago and you will get your piece done without even breaking your bank account. 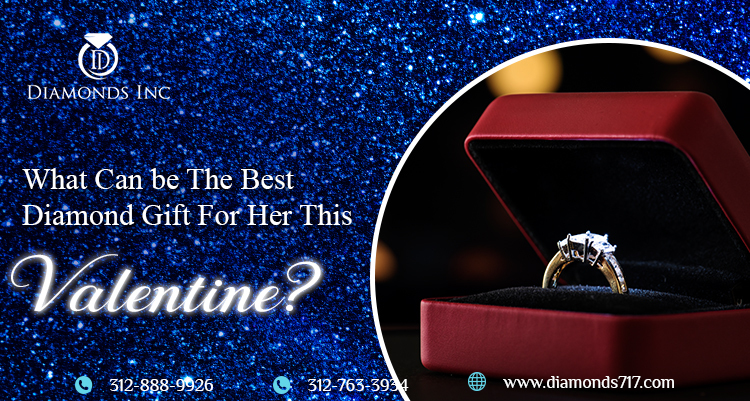 What Can be The Best Diamond Gift For Her This Valentine? Valentines Day is the day of love for which every lover strongly awaits for the whole year. Hope you are waiting for the same. Well, your wait is about to end as the date is just knocking at the door. What are your plans for this Valentine? Are you interested to gift her a diamond piece this Valentine? 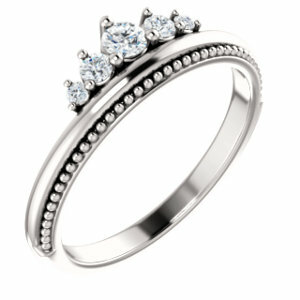 Options on diamonds are many but finding out the best diamond gift for her is troublesome at times. Here we have piled up some dazzling diamond products that are often preferred by the girls. Find the perfect piece of jewelry that suits her style and make her day more special this Valentine. 1. Heart shaped Rings: A heart-shaped ring studded with dazzling pieces of diamond, irrespective of their shapes and sizes, is what a girl loves the most. It is the most appreciable diamond gift that a partner can present on the occasion of Valentines Day. Make your purchase and awe her by enveloping her finger with sterling silver, diamond, or precious stone as the token of love. However, make sure the ring style and size fits her finger truly, otherwise, it will turn out to be the worst. 2. Diamond Engagement Rings: There is no secret that a diamond engagement ring is one of the most popular selections for the V-Day. Well, it is not a tradition but a maximum of the lovers prefer to gift their partners a dazzling engagement ring of diamonds. Are you looking for the same but at an economical price? When it comes to a diamond at a reasonable rate, Chicago engagement rings always win the game. This is basically because of the lab-grown diamonds they produce and trade at a wholesale rate. Move down the posh area of Chicago and look for an engagement ring that suits her personality. Maybe a nature-inspired or a vintage design that has a romantic vibe will attract you the most. But whatever be your choice, make sure they are GIA certified. 3. Dangle Earrings: A pair of dangle earrings covered with small diamond pieces also has the potential to turn the game upside down. Do you want to gift something different this Valentine? This pair of earring can be best if your valentine prefers subtle jewelry styles. Choose a pair that is round, short, or choose a design that looks dazzling and showcase vibrant colors. 4. 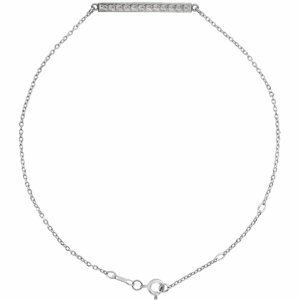 Heart-shaped Necklace: A metal chain with a heart-shaped locket having pieces of pave diamonds look stunning. 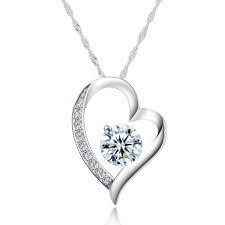 Browse the internet to find the latest heart-shaped necklace styles and choose one from there. The styles may vary in terms of metal, stone, and setting and accordingly the price range varies. All diamond dealers have a separate zone of diamond pendants. Explore the collection and make your purchase. 5. Diamond Tennis Bracelets: A diamond bracelet is not just a token of love that you gift your valentine, but it is a promise that you want to showcase by gifting her the band. It is a beautiful piece of jewelry that can make her day more special. From yellow gold to platinum you can use any type of metals to adore your set. 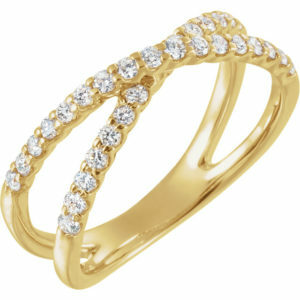 In fact, diamonds with a slight yellow or beige tint serve as the best pair with a yellow or rose gold setting. 6. Diamond Studded Watches: Is your partner prefers to have a classy outlook? Then we guess, gifting a diamond-studded watch can be the best choice. 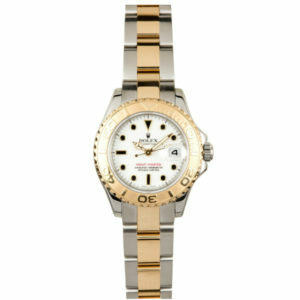 Choose a diamond-studded watch that combines both form and function. They can be a bit expensive but certainly will be a timepiece. Jewelries are considered as the girls’ best friend and it is assumed to be the most romantic gift one can ever give her partner on Valentine’s Day. However, there are some who hesitate to buy a diamond jewelry as they feel these will pinch their pocket. As a consequence, they end up buying birthstone jewelries or jewelries studded with cubic zirconia. 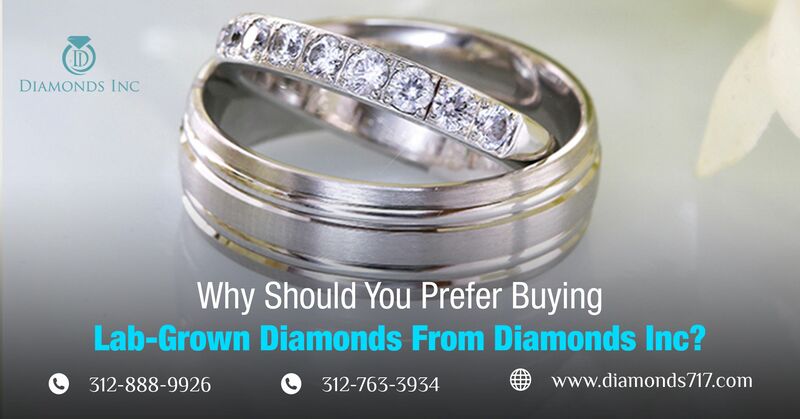 For such buyers, we would say, just travel down the diamond wardrobe of Diamonds Inc, Chicago. 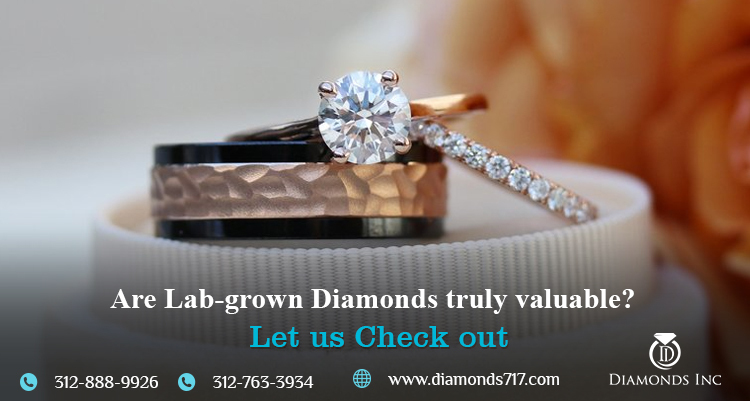 It offers collection ranging from expensive natural diamonds to economical lab-grown diamonds. Buy diamonds as per your budget.